Over the past eighteen months, I’ve been working on a project that I have been dying to tell you about – and today I can finally share the news! 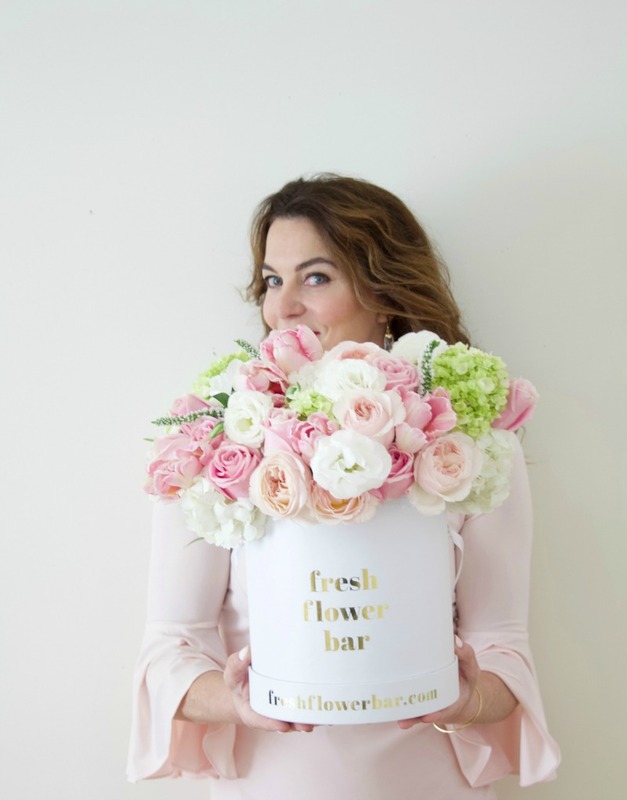 I’m thrilled to announce the launch of the Fresh Flower Bar, Connecticut’s newest floral design studio. The past few months have been a whirlwind experience that started with getting the logo designed, sourcing the signature hat boxes that the bouquets arrive in, making prototype floral arrangements and building the website. I am pinching myself that launch day has arrived! 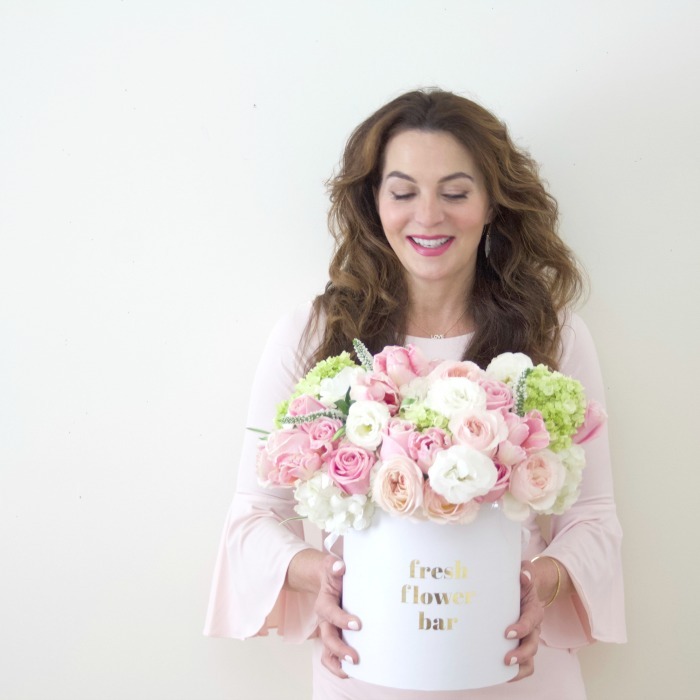 The end result is a website filled with gorgeous floral bouquets that embody the inspirational style I’ve developed on my blog – and I’m so proud and happy to share it with you! I’m launching with nine arrangements and will add more over the coming weeks and months. I expect that I will rotate arrangements and create new ones based on what’s in season. Speaking of which, I intentionally chose March 20 (the first day of spring) as the official launch date. 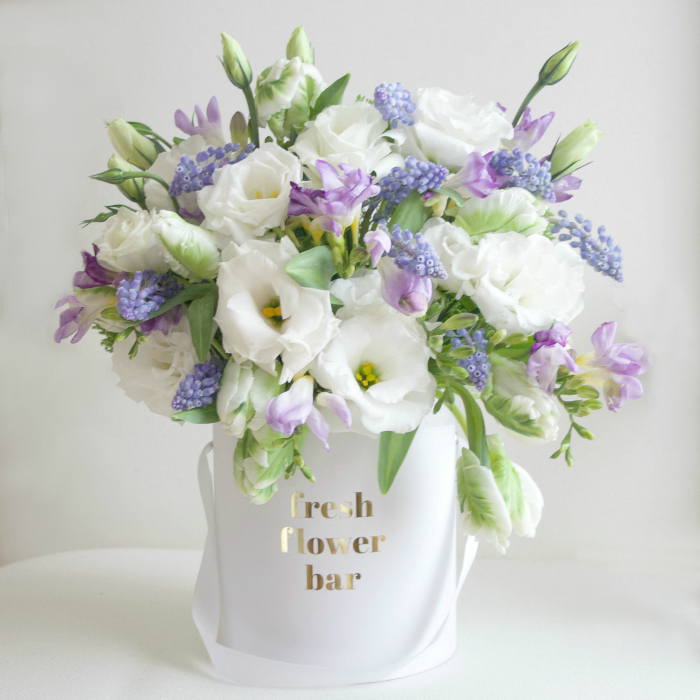 Springtime is synonymous with the start of something new – and of course, flowers! While this idea came to me two years ago, flowers have been a passion of mine since I was a child. I’ve always loved flowers, but especially making arrangements. 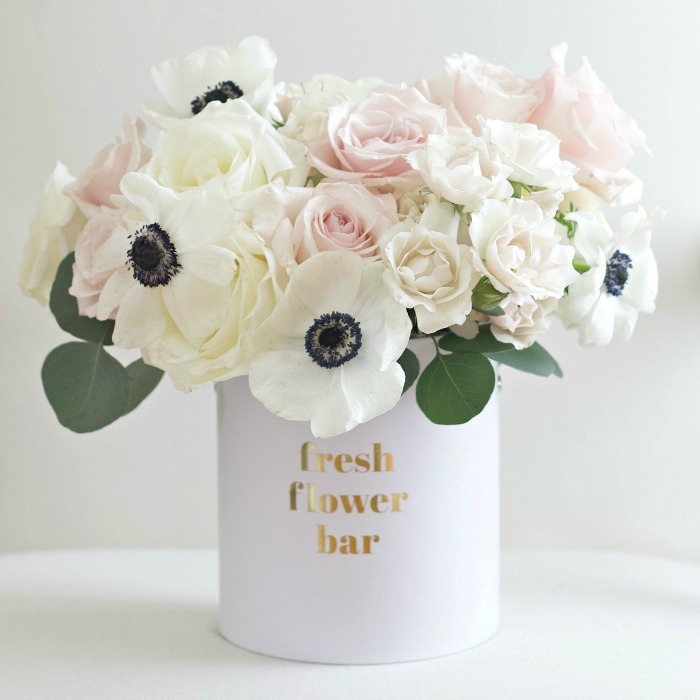 One of the very first posts I published on Connecticut in Style was about how to transform ordinary store-bought flowers into an arrangement that you’ll love. Since that post, I’ve continued to deepen my knowledge and expertise by reading every book on flowers and floral design that I could lay my hands on. At the beginning of this year, I went to the pros. I attended intensive floral workshops at the New York Botanical Garden to learn about color theory and the fundamentals of design. Any nagging doubt that I had about whether this was the right career path for me, evaporated the moment I stepped into my first class. Being around flowers makes me insanely happy. 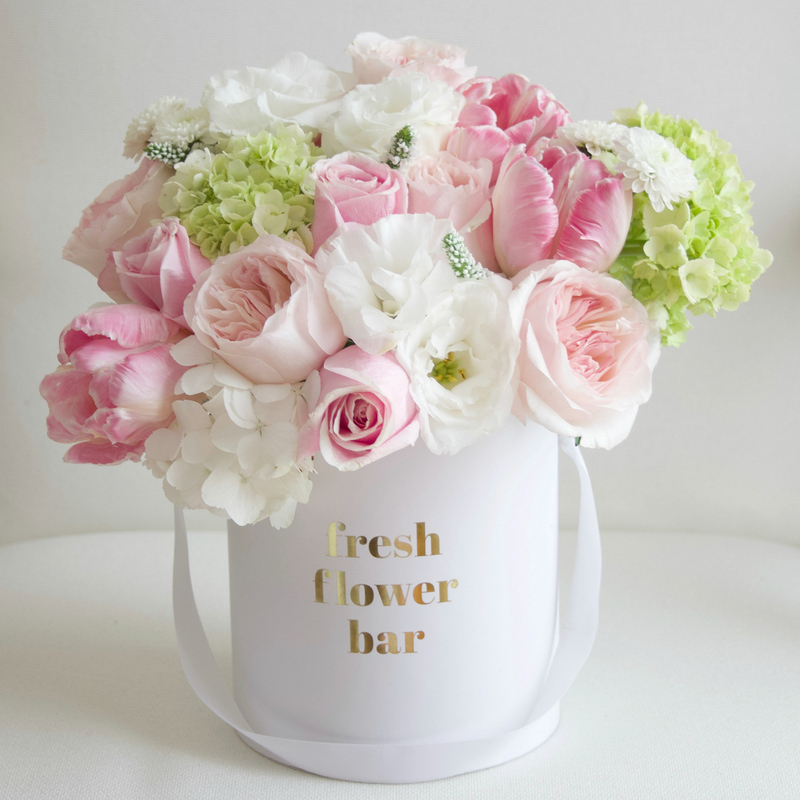 Okay, let’s talk about Fresh Flower Bar! I’m starting with an online store, please check it out HERE! I’m offering local delivery along Connecticut’s Coastline, serving the towns of Darien, Easton, Fairfield, Greenwich, New Canaan, Norwalk, Southport, Stamford, Westport, Weston and Wilton. I’ve designed arrangements in a variety of styles and colors to reflect the right occasion. 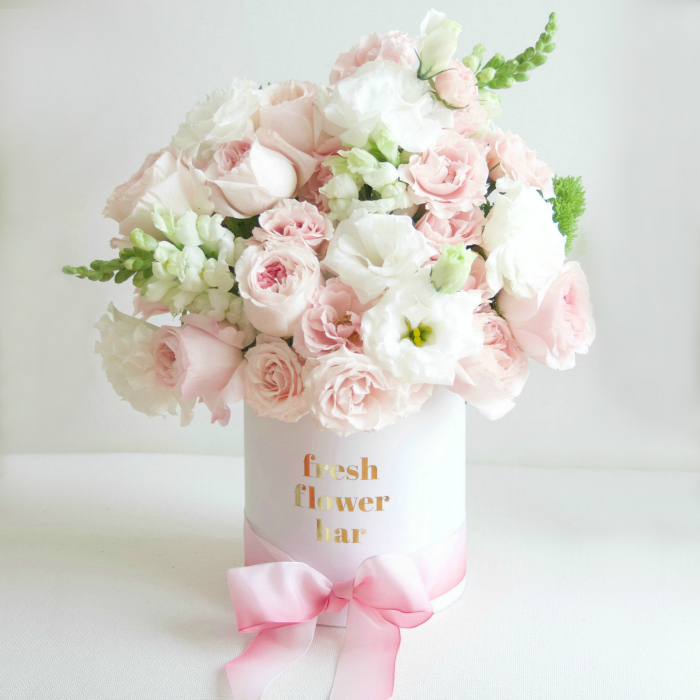 Whether it is for a birthday, anniversary, new baby, hostess gift or an event – Fresh Flower Bar has you covered. I especially love the fun and modern hat boxes that the arrangements will arrive in because I haven’t seen anything like this in Connecticut. And besides – do you really need another grocery store vase collecting dust in the back of your shelf? I didn’t think so. Glimpses of some of my favorite arrangements are below, but please check out the store (even if you don’t live in Connecticut) to see all the flowers. P.S. I know that I haven’t been blogging every day, but now you understand why. I’ve been burning the candle at both ends for quite some time – it’s been a total labor of love! Check out the online store HERE!